I am not a big meat eater and I rarely eat fish, but recently I started trying out tuna in pouches which is becoming available in many stores. These are individual packets that are easy to open by tearing off the top and the tuna is ready to eat. You don't have to drain it or do any kind of preparation so it is very quick and convenient. They also do not need to be refrigerated and have a long shelf life and do not take up a lot of room which are all positive qualities. These tuna pouches are very affordable at about $1-$2 each for a single serving and are a great source of protein. I have been trying a few different brands from different stores and here we will be reviewing 3 of the top brands: StarKist, Bumble Bee, and Chicken of the Sea. StarKist is the most common brand I have been able to find based on experience. They have several varieties of the tuna in the pouches so I tried out many of the different options from water based to oil based, to different flavors. Overall taste was ok, but I was not impressed with the quality in terms of appearance of the tuna. I am picky especially when it comes to meat or fish in that I want it to have a consistent look and texture. In all the StarKist varieties, I found there to be many different colors of pieces found within the tuna. There may not be anything wrong with this, but visually, it is not appetizing in my opinion. I ended up trying to eat around these different colored pieces and overall did not get much out of each packet. Because of this, I would rate StarKist tuna pouches in 3rd place of the 3 brands. Chicken of the Sea is also a pretty common brand. In terms of visual quality, this one comes in 2nd place. It had more of a consistency compared to StarKist, but still had a few discolored pieces within. The tuna tended to have a pinkish color to it. I found it to have a pretty strong tuna flavor which is good if you are seeking out the taste, but may be a bit too much if you prefer a more mild flavor. Overall not bad, but good enough for 2nd place. I found Bumble Bee to be the least widely available of the major brands, but overall the best quality. 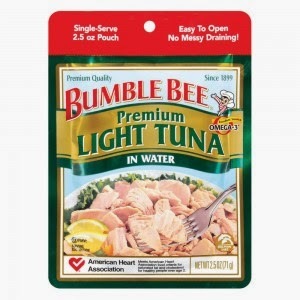 The Bumble Bee tuna packets have light colored tuna with a consistent texture with very few discolored pieces. It also has a good taste which is not overpowering with tuna flavor. The high quality combined with good taste bring Bumble Bee tuna in at the number 1 spot. Overall the nutrition and cost of each of these 3 brands is very comparable. If you can find Bumble Bee tuna packets at your local store, I would highly recommend them. If they do not have Bumblebee, Chicken of the Sea is a good 2nd choice. 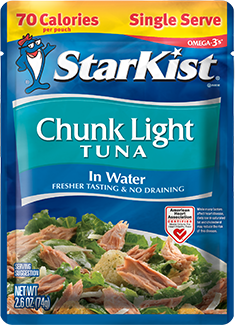 If they do not have either of those, StarKist is ok if you are not picky about the look or texture of the tuna. You will be able to find the tuna pouches near the canned tuna section in your local supermarket. I would be interested to know why you prefer Stark is to Bumblebee. The original blogger, in great detail, gave a great evaluation of the 3 and why she put them in her top 3. After the original blog, just to say you prefer Stark is with no explanation kinda makes your comment a mute point. 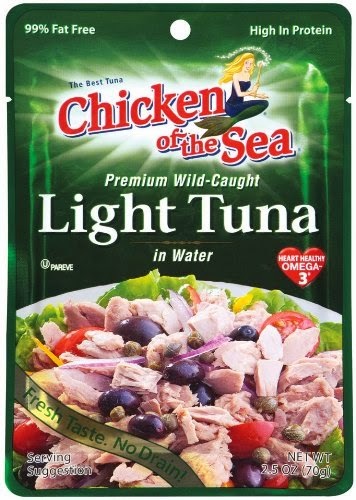 I know this is about Tuna, but Bumblebee Salmon is super fishy tasting compared to Chicken of the Sea Salmon in the pouches. It grosses me out. Yuck.